When Zenith Bank went public in 2004, there was an overwhelming endorsement of the brand as its initial public offering (IPO) was oversubscribed. The bank’s performance ever since is evidence that the support has not been misplaced. Now the number one banking brand in Nigeria, Zenith Bank has thrived on the strength of its sound business model, conservative risk management, corporate governance and strategic corporate social investments. The endorsement of the Zenith brand is also not limited to the shores of Nigeria. Its listing of the second tranche of the $500million Eurobond Global Medium Term Note Programme in 2017 equally broke new ground with an overwhelming oversubscription of more than 300 per cent. Subscription to the Eurobond 2022 issue, which topped $2.1billion, recorded landmark success on three counts: pricing, subscription level and global appeal. The result makes the issuance the highest by any non-sovereign and non-supranational company in sub-Saharan Africa, excluding South Africa. Additionally, the pricing of 7.375 per cent is 50 basis points better than the sovereign of 7.875 per cent and the oversubscription indicates a huge endorsement of the Zenith Brand as a reputable, international financial institution recognised for superior performance and creating premium value for all stakeholders. The bank had established a $1billion Global Medium Term Note in 2014, with $500million already raised in the first tranche. The first tranche notes were listed and admitted to trading on the Irish Stock Exchange in 2014. In the first tranche of the exercise, the financial institution’s $500million Eurobond was equally oversubscribed with investors mainly from Nigeria, the US, the UK and the European Union taking part. Much of the success achieved by the bank in a little over a quarter of a century can be traced to its adherence to global best practices, evidenced by a good corporate governance culture and strong risk management ethos. The bank’s strategy is to continue to surpass its past successes, while ensuring that it does not go against ethical standards and regulatory requirements. The bank has also developed a standard code of conduct and set up a team to monitor and ensure a strict adherence to the code. This is in addition to institutionalising corporate governance, thereby setting an industry-wide example of best practices in that field. Zenith Bank prides itself on being one of the banks in the country with a truly independent board, with the remuneration policies of the board of directors conforming to laid-down principles and policies. This minimises the risk of conflict of interest, leading to increased value creation for all stakeholders. Headquartered in Lagos, Zenith Bank Plc is a leading financial services institution with a presence in Ghana, Sierra Leone, The Gambia, United Kingdom, United Arab Emirates and Representative Offices in South Africa and the People’s Republic of China. Established in May 1990, Zenith Bank Plc is today Nigeria’s largest and Africa’s sixth largest financial institution by tier-1 capital. The bank provides individual customers and corporate clients a range of financial products and services. Its shares are traded on the Nigerian Stock Exchange (NSE), London Stock Exchange (LSE) and Irish Stock Exchange (ISE). Zenith Bank has greatly impacted banking in Nigeria, lifting the sector from the era of over-conservatism to one of dynamism, characterised by a culture of excellence and global best practices. The bank achieved this through the power of vision, skilful union of banking expertise and cutting-edge technology with which it met and anticipated the varied and changing appetites of its existing and potential customers. The bank is a clear leader in the digital space with several firsts in the deployment of innovative products, solutions and an assortment of alternative channels that ensure convenience, speed and safety of transactions. The bank has shaped and continues to influence certain critical aspects of development in Nigeria and has a knack for setting the pace and raising benchmarks. With a team of dedicated and well-trained professionals, the bank leverages its robust information and communication technology (ICT) infrastructure to provide products and services through its network of branches, point of sales terminals and electronically through its internet and mobile banking channels. 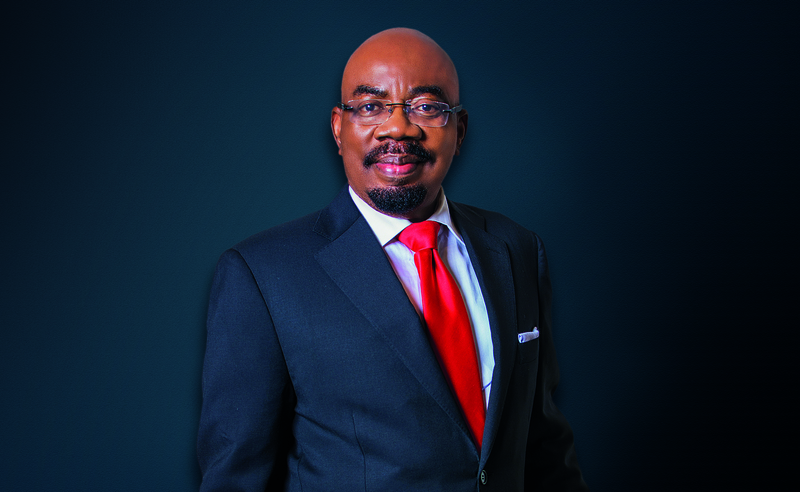 Zenith Bank’s management team is made up of seasoned professionals led by Peter Amangbo, the group managing director and CEO, who has been on the board for more than a decade. He took over the reins in July 2014 from Godwin Emefiele, who was appointed the governor of the Central Bank of Nigeria. Successive leaderships have been able to draw on superior people, excellent service culture and continuous deployment of state-of-the-art technology to keep the institution at the forefront of Nigeria’s banking industry. 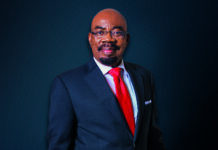 Jim Ovia, founder and now chairman, Emefiele and Amangbo, believe the bank’s impetus for success is the strict adherence to policies, procedures and a rare determination to break and surpass records. Clearly, the seamless transition of leadership at the bank is evidence of a well-planned institution and is consistent with the bank’s tradition and succession strategy of grooming leaders from within. While Amangbo’s leadership skills and cognate experience are a significant advantage, he continues to rely on the strength of the board, management and staff to sustain stellar performance. This collaborative management approach adopted by the bank in its decision-making processes has created one of Nigeria’s strongest banking brands. Zenith Bank relies on its core business strategy which is anchored on ‘People, Technology and Service’ to create value for its clientele. With strict adherence to global best practices, the bank combines market knowledge, professionalism, expertise and information and communication technology (ICT) to create products and provide services that anticipate and meet customers’ dynamic needs. The bank is also noted for its commitment to the promotion of diversity in its recruitment processes and board appointments. As an institution, the bank draws strength from the diverse contributions of staff with different backgrounds and orientations, knowing that to achieve its set goals and objectives, the aggregate experiences of members of staff is necessary and non-negotiable. This has contributed in no small measure to the bank having one of the lowest staff turnovers in the industry. 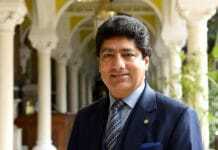 The bank has stayed ahead of the competition by constantly innovating its processes and developing a bond with all its stakeholders and the environments where it operates. In order to continue to remain relevant, the bank has always adapted its systems and processes in a manner that helps to satisfy the varied appetites of its customers in a constantly changing world. Zenith Bank places a high premium on developing top-of-the-range risk management policies and strategies that are capable of not only promoting the sound health of the bank and protecting its assets, but also ensuring its growth and survival. In essence, having a best-in-class enterprise risk management strategy has been crucial for ensuring the sustainability and survival of the bank as an institution over the years. In recognition of its impressive growth pattern and performance, the bank has earned and received excellent ratings, accolades, recognitions and endorsements from both local and international agencies and institutions. These recognitions and awards continue to affirm the bank’s commitment to professionalism, ethical conduct and sustenance of global best practices, which is attributable to the joint collaboration of the management and staff – indeed, people and talent are two equalisers in the bank’s value chain and the institution has leveraged these to create innovative solutions that often exceed customers’ expectations. The conferment of these awards is also testament to the bank’s adherence to global standards, borne out of its commitment to quality in all dealings with various stakeholders. Aside from showing leadership in the area of corporate governance, Zenith Bank has equally won commendations with its strategic corporate social investments and adoption of global standards in sustainability reporting. Guided by the Nigerian Sustainable Banking Principles (NSBP) of the Central Bank of Nigeria (CBN) and the United Nations Global Compact (UNGC) Principles, Zenith is committed to ensuring that the environmental, social and economic impacts of its banking services are carefully considered to obliterate or minimise negative outcomes. The bank published its maiden sustainability report (Nurturing Our People, Planet, Profit), covering its economic, social and environmental activities and performance from January to December 2015, which highlights its various corporate social responsibility initiatives. The second edition of the sustainability report for 2016 (Creating Wealth Sustainably), showing the progress made in the sustainability and corporate social responsibility journey, was also published in August 2017. As shown in the reporting database of the Global Reporting Initiative (GRI), more than 100 companies have so far adopted the new GRI Standards worldwide. Zenith Bank is one of these global early birds. At Zenith Bank, corporate social responsibility (CSR) is a way of life and an entrenched corporate culture. Through its corporate sustainability and responsibility department, the bank ensures that its social, economic and ecological obligations to the communities where it operates are carried out efficiently and professionally. For Zenith Bank, having a workforce that is increasing aware and passionate about the wellbeing of the physical environment and the less-privileged in society is the natural first step towards achieving its overall sustainability objectives. One of the biggest achievements for the bank, therefore, was creating widespread awareness about and enthusiasm for sustainable business principles, policies and practices within the workforce. This is indeed a critical first step, as the bank’s workforce is the propeller of its overall strategy and vision. The bank has made tremendous progress in its vision to entrench sustainability principles into its business operations, including product offerings, credit and loan administration, vendors’ relations, and employee management. During the 2016 financial year, the bank began the strict enforcement of uniform closing hours in all its business locations, effecting a 5pm closing time bank wide. This was in its quest to improve work-life balance for its employees, while also cutting its carbon footprint. This policy has been highly rewarding for all stakeholders – it has helped to reduce the working hours of its employees and improve the energy efficiency of the bank significantly, while also cutting down the energy cost and carbon emission of the bank. More importantly, this initiative has boosted staff enthusiasm, efficiency and productivity in the workplace. Zenith Bank remains the biggest corporate social responsibility (CSR) contributor in the Nigerian financial services industry. During the 2017 financial year, ended 31 December 2017, the bank invested a total of N2.661 billion on diverse CSR initiatives, with emphasis on health, education, ICT & youth empowerment and public infrastructure development. This represented 1.5 percent of the profit after tax during the review period. In clear demonstration of the organisation’s commitment to the ideals and tenets of corporate sustainability and responsibility principle, hinged on the triple bottom line of people, planet and profit, the bank, over the years, has set up ultra-modern ICT centres in several educational institutions across the country. Zenith Bank also supports projects for the resettlement and educational empowerment of victims of flood in several states of the federation as well as internally displaced children in North East Nigeria, with the donation of mattresses, food, rechargeable lamps, insecticide-treated mosquito nets and several educational and personal care items to victims. The bank’s sustainability and corporate social responsibility initiatives are hinged on the belief that today’s business performance is not all about the financial numbers. The bank believes that institutions’ social investments, contributions to inclusive economic growth and development, and improvements in the condition of the physical environment all constitute a balanced scorecard. The communities within which the bank operates constitute an integral part of the Zenith family. The bank treats the wellbeing of its host communities with utmost seriousness and constantly elicits their feedback on how they could continue to live and coexist better together. Zenith Bank has also supported global climate action and has prioritised investment in green and sustainable business projects. The bank has fully integrated environmental and social considerations into its business and credit administration processes. As part of its green earth policy, Zenith Bank is the first bank in Nigeria to have carried out an external audit on its greenhouse gas footprints, using the Greenhouse Gas Protocol Corporate Standards, a globally certified greenhouse gas audit procedure. As a clear testament to its remarkable strides in corporate social responsibility and sustainability, the bank has been rewarded with several prestigious awards. In September 2017, it was recognised for its Excellence in Social Responsibility by the New Banking Age Awards. Most recently, in November 2017, the bank was recognised as the Best Company in Sustainability Reporting by the SERAS CSR Award Africa.